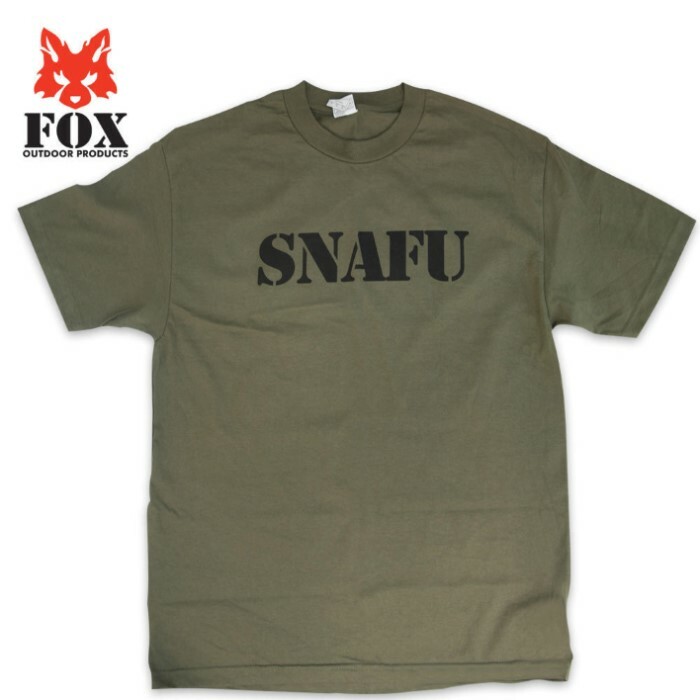 Fox Snafu Short Sleeve T-Shirt OD | BUDK.com - Knives & Swords At The Lowest Prices! This is a Military Acronym's When Trying to Keep It Clean : SNAFU Situation Normal All Fouled Up. Perfect for the military enthusiast!